Paleontologists from Russia have described a new dinosaur, the Volgatitan. 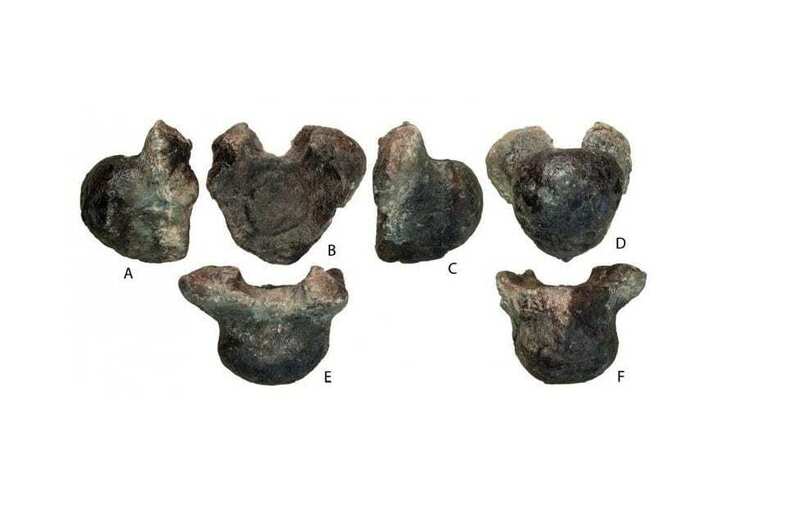 Seven of its vertebrae, which had remained in the ground for about 130 million years, were found on the banks of the Volga, not far from the village of Slantsevy Rudnik, five kilometers from Ulyanovsk. The Volgatitan belongs to the group of sauropods – giant herbivorous dinosaurs with a long neck and tail, who lived on Earth about 200 to 65 million years ago. Weighing around 17 tons, the ancient reptile from the banks of the Volga was not the largest among its relatives. The scientists described it from seven caudal vertebrae. The bones belonged to an adult dinosaur which is manifested by neural arches (parts of the vertebrae protecting the nerves and blood vessels), which completely merged with the bodies of the vertebrae. The remains of the dinosaur were discovered near the village of Slantsevy Rudnik. This is where, in 1982, Vladimir Efimov discovered three large vertebrae that had fallen out of a high cliff. Later, in 1984-1987, three nodules of limestone fell off, which contained the remaining vertebrae. In his works, the head of the Undorovsky Paleontology Museum called the unusual finds “giant vertebrae of unknown taxonomic affiliation”. The dinosaur received a scientific name – Volgatitan simbirskiensis. It comes from the Volga River and the city of Simbirsk (currently, Ulyanovsk). Titans are ancient Greek gods known for their large size. Therefore, according to a paleontological tradition, this word is used in many scientific names of sauropods from the group of titanosaurs. It is also part of the name of the group. Today, along with the Volgatitan from Russia, 12 valid dinosaur taxa have already been described. There are only three sauropods among them: Tengrisaurus starkovi, Sibirotitan astrosacralis and Volgatitan simbirskiensis. The first two are the first sauropods in Russia, which were also studied by St Petersburg University scientists in 2017. According to Aleksandr Averianov, the description of dinosaur taxa in recent years has become possible due to the progress in understanding the anatomy and phylogeny of dinosaurs. In addition, the Russian sauropod allowed scientists to learn more about how these species of ancient reptiles had lived and developed.